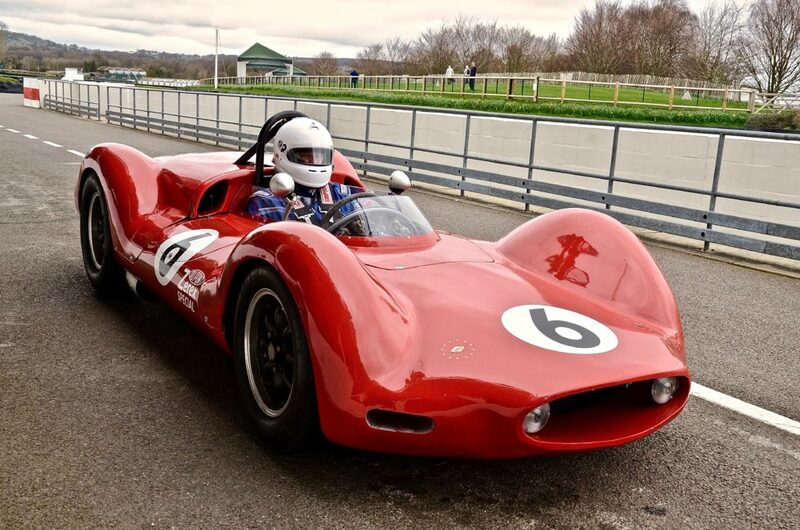 Excitement is building as drivers and cars practice for the 77MM. 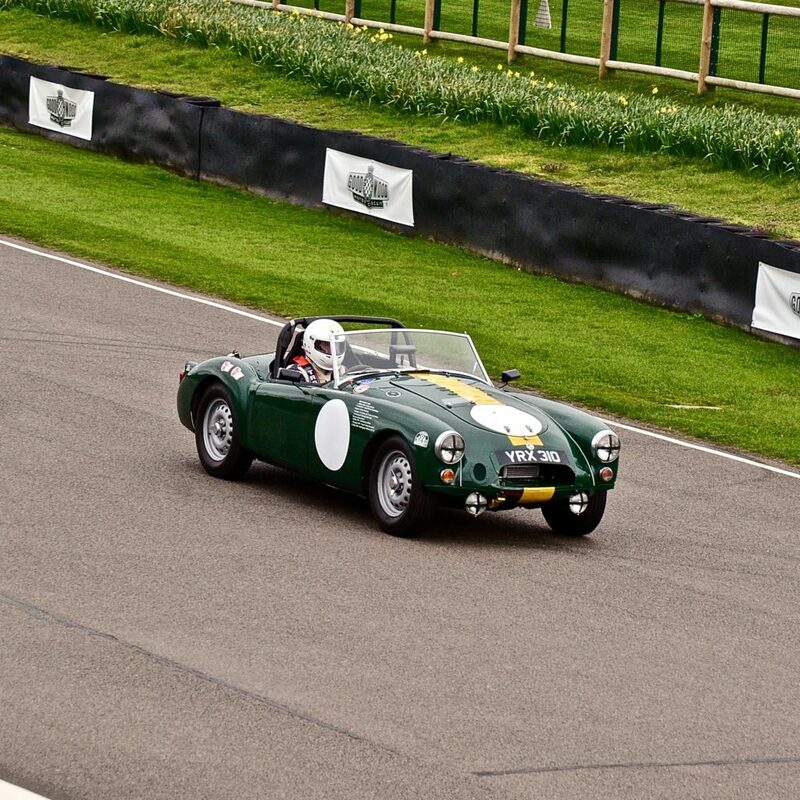 MGA on the track, in practice for the exclusive 77th Members’ Meeting. 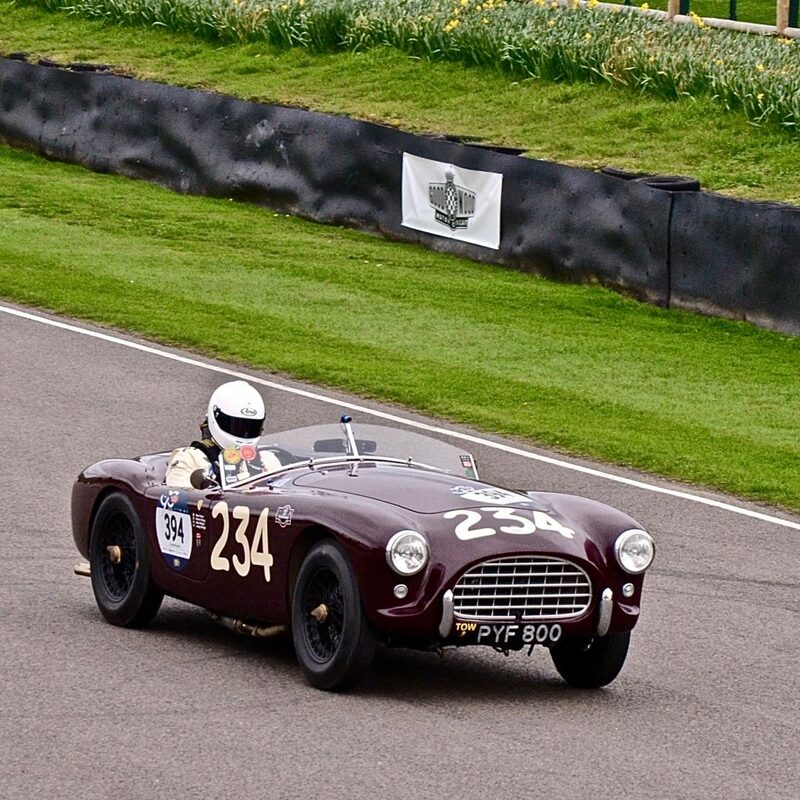 Austin Healey 100 on the track at Goodwood in practice for the 77MM. 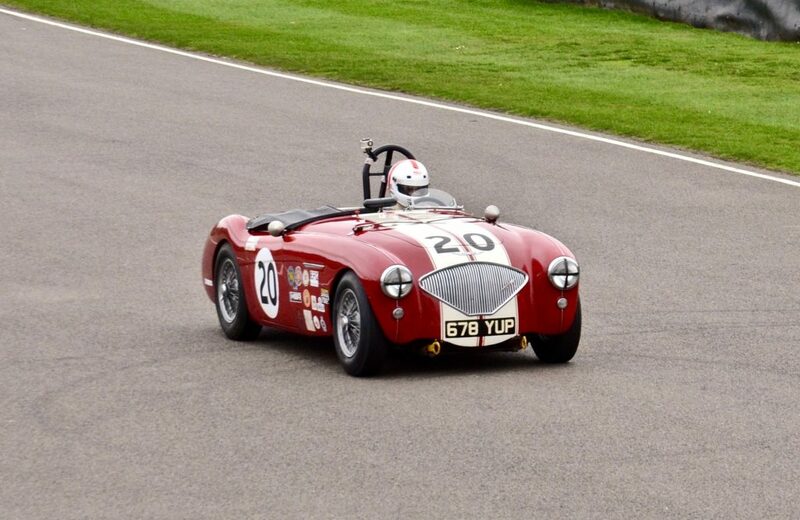 Jonathan Abecassis in action in his Austin Healey 100. Lotus 23 in the pits. 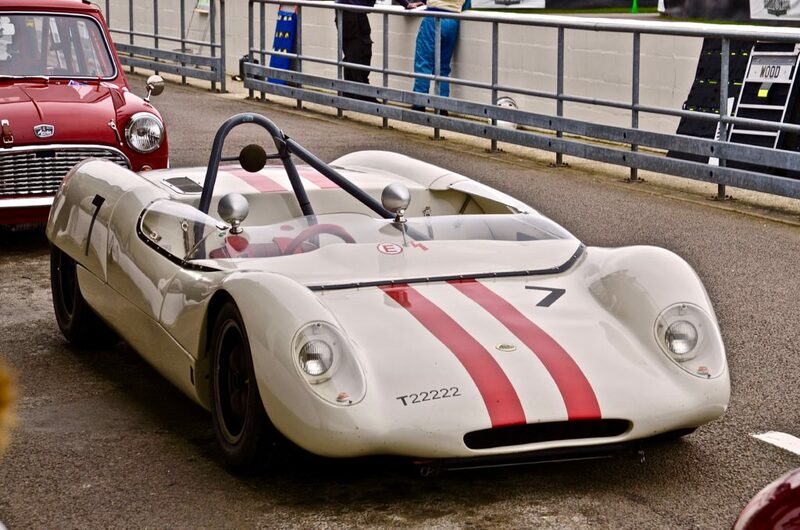 Lotus 23 on the circuit in practice. 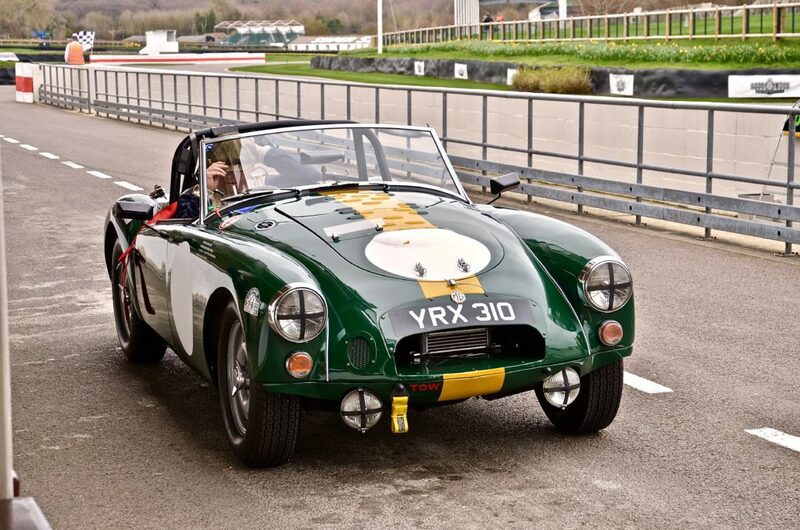 Cooper Zerex Special, in the pits. First time to be seen in Britain since its resurrection. Cooper Zerex Special in action. 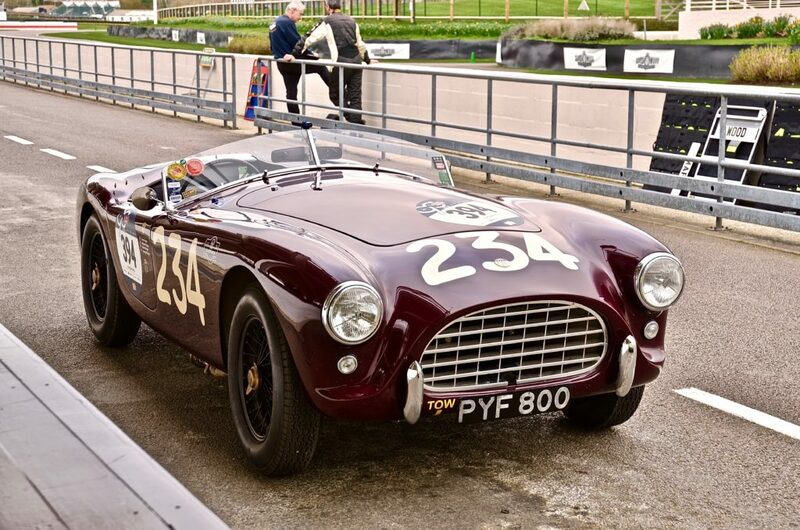 AC Ace Bristol in the pits. The 1956 Mille Miglia car. 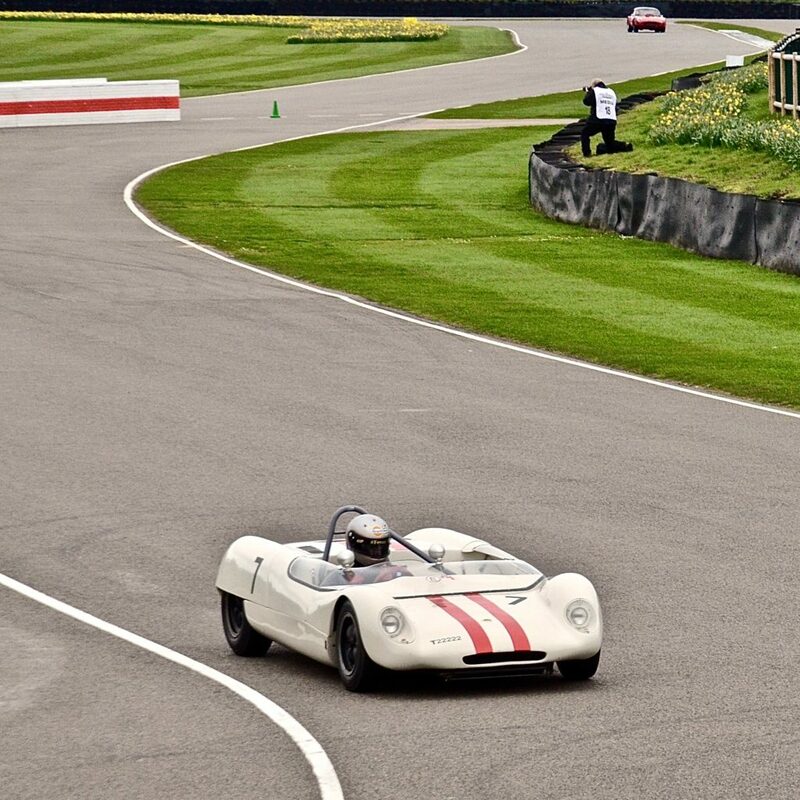 AC Ace Bristol on the track at Goodwood, in practice for the 77MM. 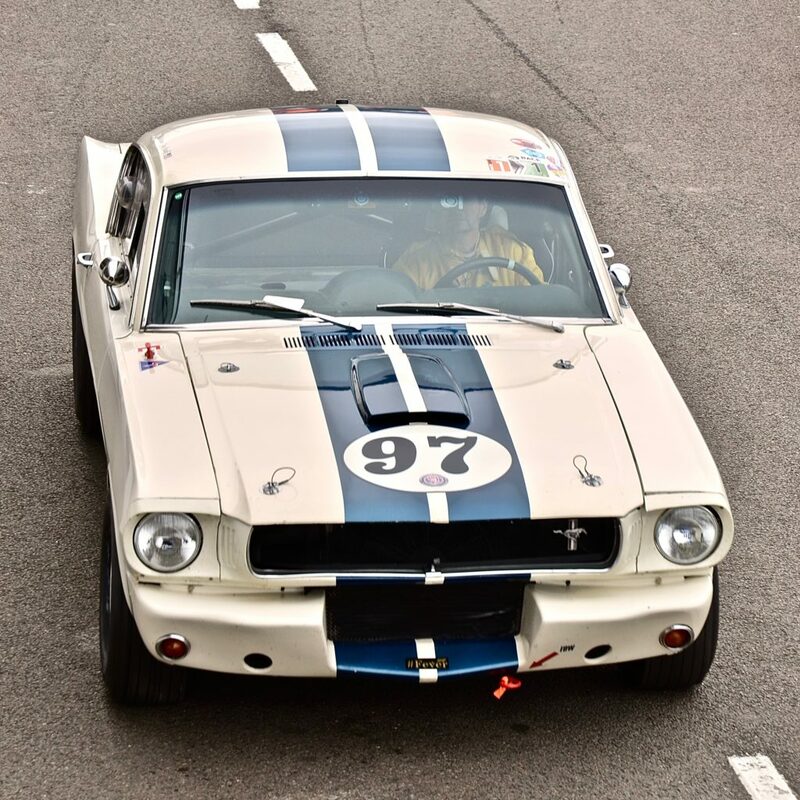 Ford Shelby Mustang GT350, entering the pits. 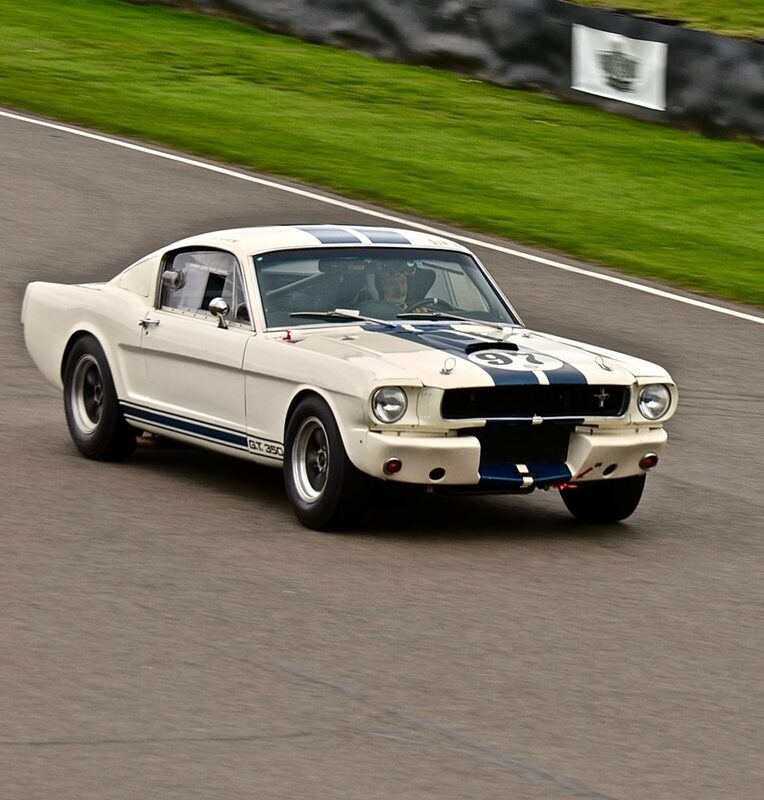 Ford Shelby Mustang GT 350 in action on the track. 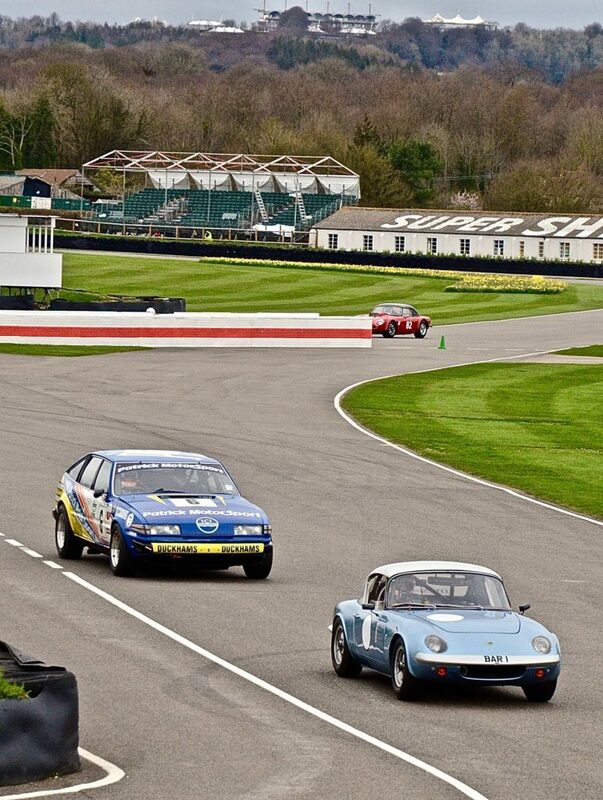 A Lotus Elan followed by a Rover SD1 during practice. 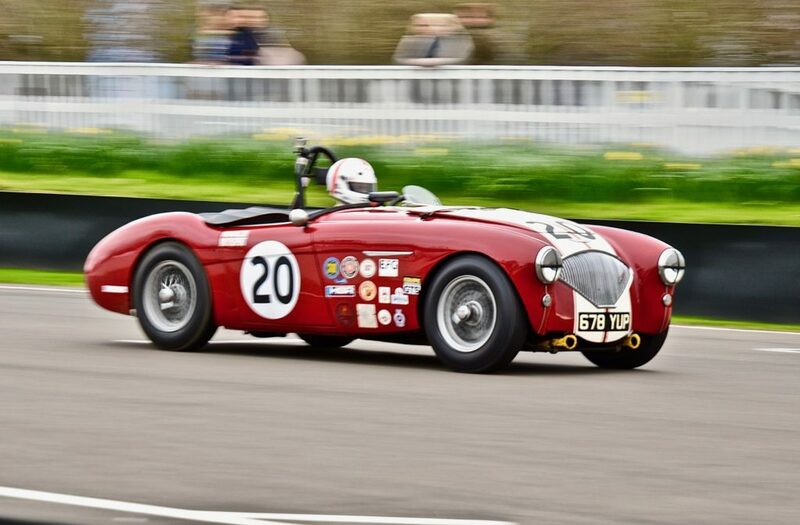 Goodwood’s motorsport opening weekend recreates the atmosphere and camaraderie of the original BARC Meetings held at Goodwood through the 1950s and 1960s. 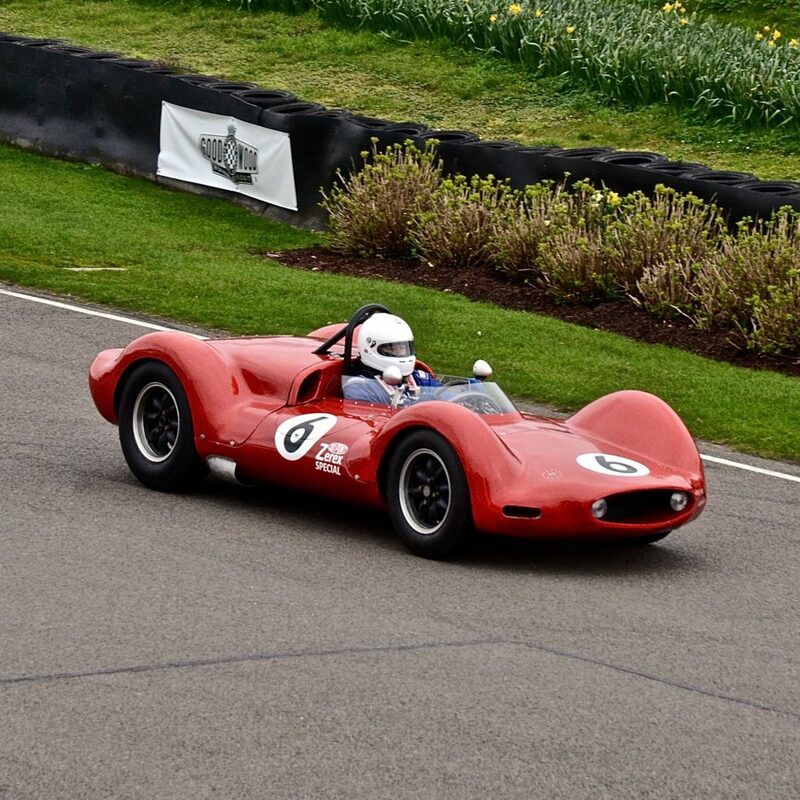 A packed two days of thrilling racing and demonstrations from the finest historic cars of the period, as well as more modern machines never previously seen at the Motor Circuit. Plus, buzzing food markets and Goodwood’s biggest outdoor party on Saturday evening, with live music and stunning fireworks. As a GRRC Member or by joining the GRRC Fellowship, you have the exclusive opportunity to book tickets for you and your guests to our sell-out Members’ Meeting or watch the event coverage on our live stream.